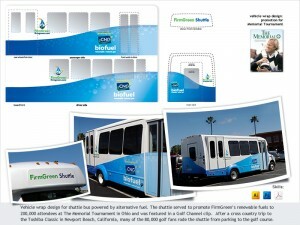 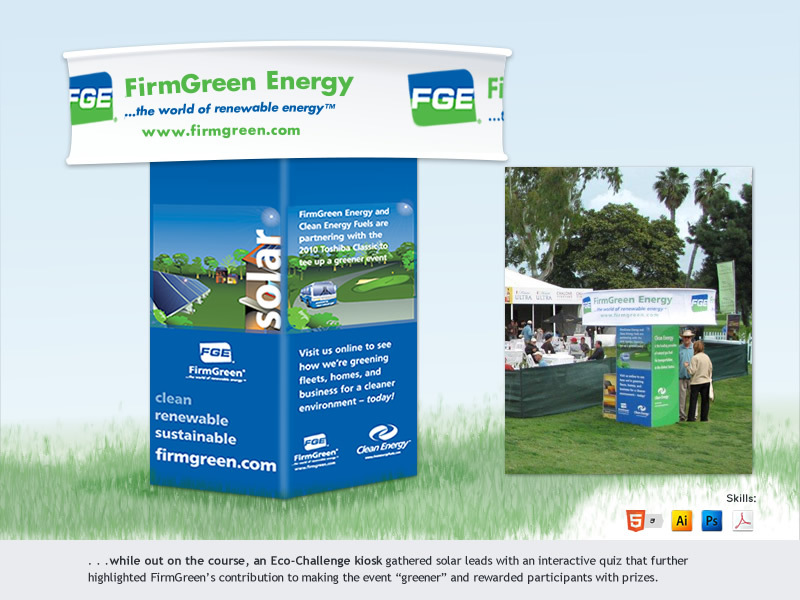 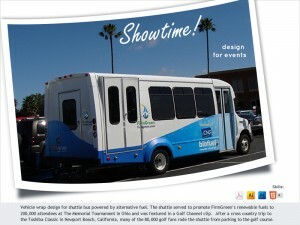 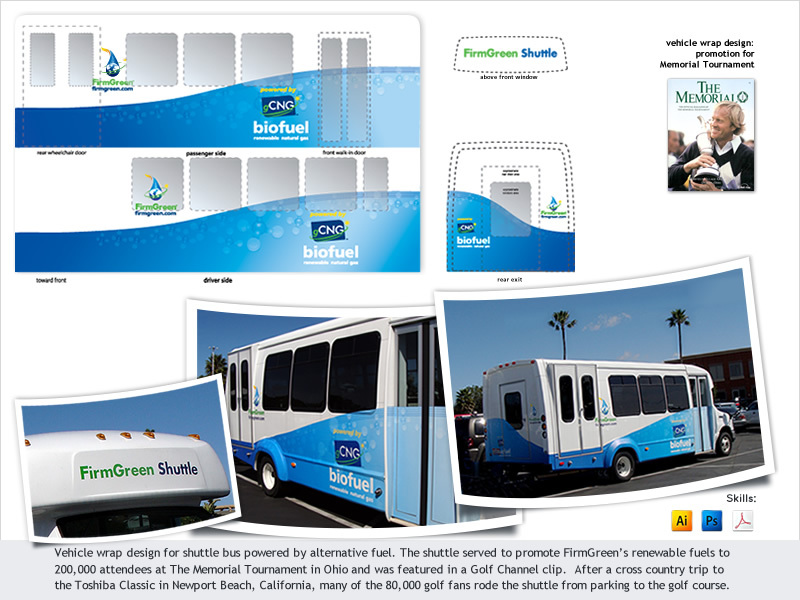 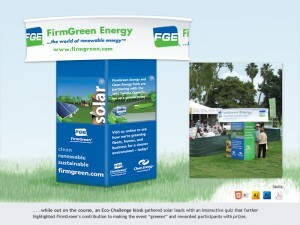 FirmGreen, Inc. wanted to promote their renewable biogas fuel product. 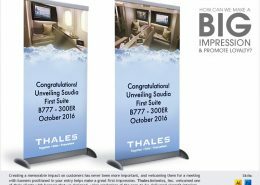 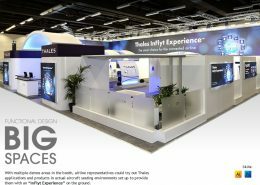 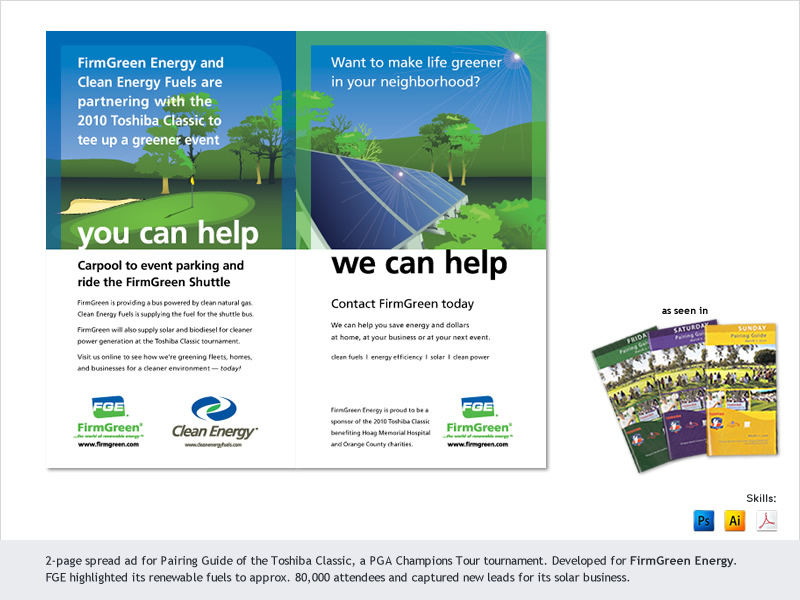 Our strategy involved event sponsorship, signage design, video, social media, print and online advertising, and a cross-country shuttle trip that was journaled on their blog. 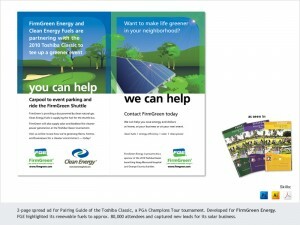 Results: FirmGreen gained visibility with a Golf Channel clip, new leads for its fuel business, and a lot of buzz on its social media. 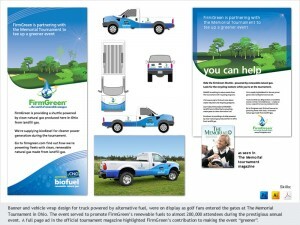 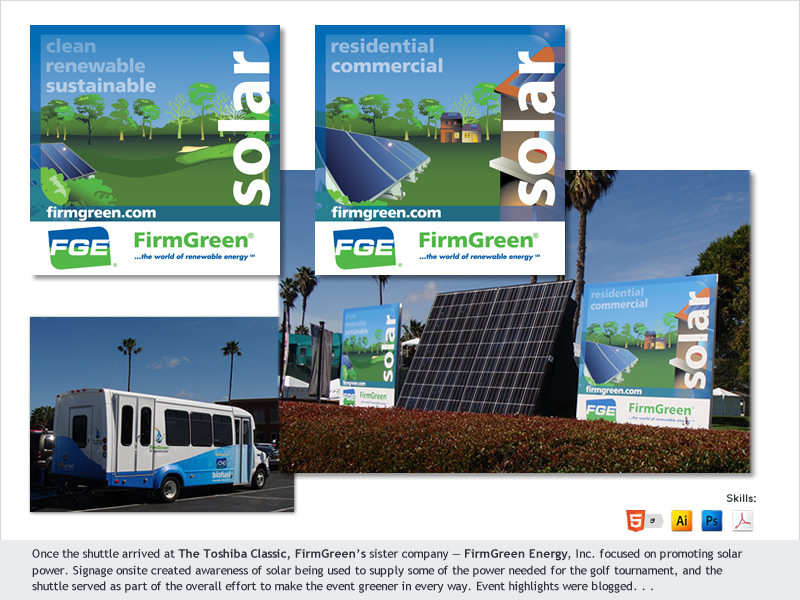 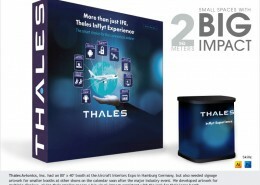 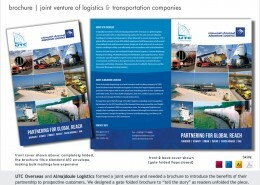 The company wanted a comprehensive campaign to promote their renewable energy and fuel products. 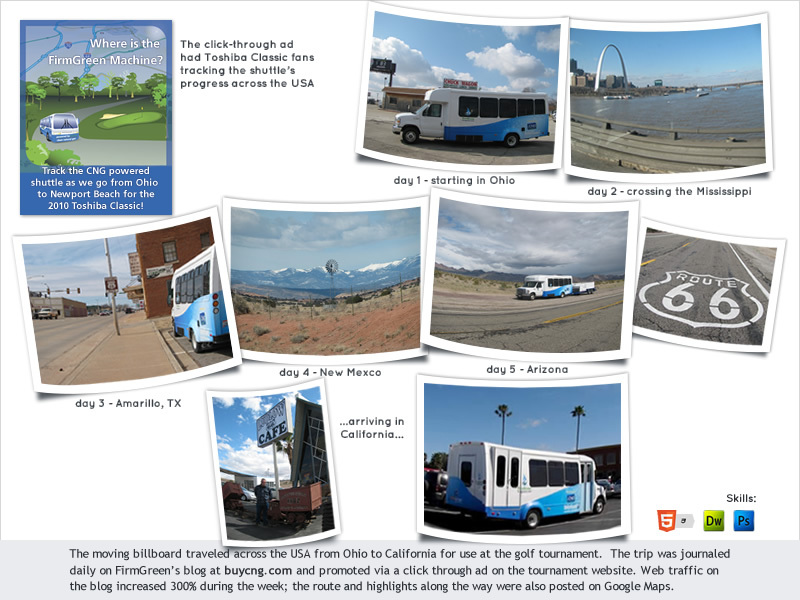 Our strategy involved event sponsorship, signage design, video, social media, online advertising, and a cross-country shuttle trip that was journaled on their blog.